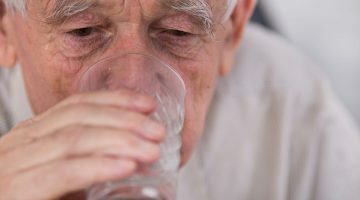 Nursing home residents are more likely to be prescribed medications for treatment of behavioural and psychological symptoms of dementia, pain and urinary tract infections (UTIs), according to a new cross-sectional Australian study published in the Journal of Pharmacy Practice and Research. 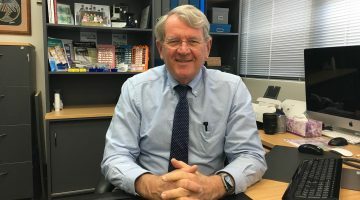 Researchers from Flinders University’s Department of Rehabilitation, Aged and Extended Care in Adelaide and the NHMRC Cognitive Partnership Centre at the University of Sydney investigated dispensing data from the individual pharmacy records of 541 residents across 17 Australian nursing homes. Of these, 348 (64.3%) had dementia and 193 did not have dementia. Mean age was 85.5 ± 8.5 years and 74.5% were female. 1. Over 12 months, nursing home residents were prescribed an average of 14.5 (±6.8) different medication. 2. Approximately 95% of participants were prescribed medications for the nervous system and 94% were prescribed medications for alimentary tract and metabolism. 3. The next most common medication classes were those for cardiovascular system (72.1%), anti-infectives for systemic use (68.9%) and dermatologicals (54.1%). 4. The most frequent comorbidities were osteoarthritis (48.4%), hypertension (47.1%), depression (42.9%), urinary incontinence (39.2%), and faecal incontinence (22.5%). 5. 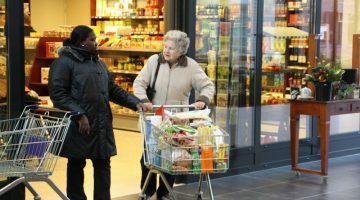 Those with dementia were less likely to have comorbidities of airway diseases, angina, back pain, congestive cardiac failure, diabetes mellitus, dysphagia, hypertension, ischaemic heart disease, osteoarthritis, rheumatoid arthritis and stroke, but were more likely to have faecal or urinary incontinence. 6. 98% of residents were prescribed more than five different medications, and 71% were prescribed more than 10 different medications over the 12-month period. 7. Over 12 months, nursing home residents with dementia were prescribed, on average, three fewer medications than nursing home residents without dementia (16.4 vs 13.4, p < 0.0001). 8. However those with dementia were ninefold more likely to be prescribed risperidone (OR 9.38, 95% CI: 4.01-21.94, p < 0.0001) and threefold times more likely to be prescribed buprenorphine (OR 3.37, 95% CI: 1.78-6.36, p = 0.0002). 9. Dementia was associated with an almost fourfold higher likelihood of being prescribed antiparasitic products, insecticides and repellents (OR 3.97, 95% CI: 1.09-14.5, p = 0.0369). An increase in prescription of trimethoprim was also observed in residents with dementia—an antibiotic commonly use for treatment of UTIs. 10. Meanwhile dementia was associated with lower probability of being prescribed medications for the cardiovascular system (OR 0.45, 95% CI 0.27-0.76, p = 0.0031) and respiratory system (OR 0.39, 95% CI: 0.25-0.60, p < 0.0001). The researchers say it is not surprising that participants with dementia were more likely to be prescribed medications for management of behavioural and psychological symptoms of dementia. However they point out that clinical practice guidelines recommend avoiding use of antipsychotics for this wherever possible, due to increased risk of cerebrovascular adverse events and death. 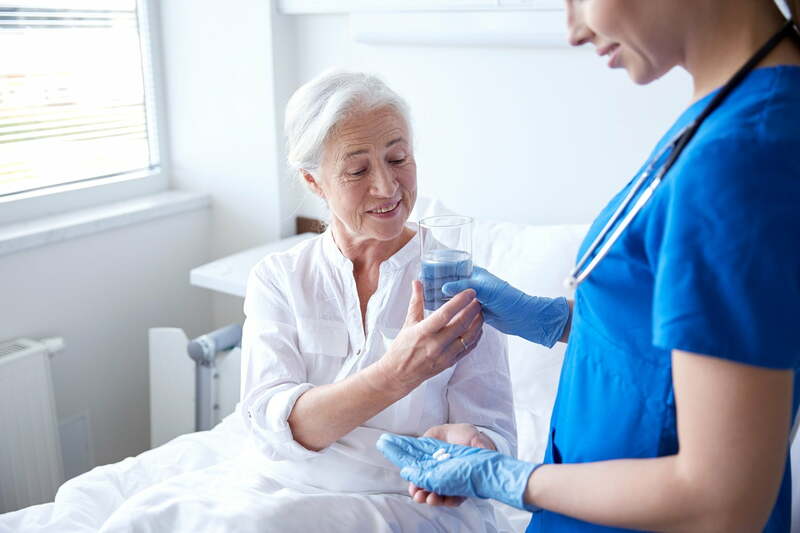 “The present study demonstrated that one-quarter of nursing home residents with dementia had been prescribed risperidone, suggesting that this medication is likely to be overprescribed,” they said. Regarding the buprenorphine findings, the authors said pain has been reported to be observed more often in residents with severe dementia, with pain severity significantly correlated with dementia severity. They added that increased use of trimethoprim cannot be determined “but it is possible that greater confusion or worsening cognition in residents with dementia is attributed to UTIs”. “Awareness by pharmacy and healthcare staff of the medication patterns observed in the present study are important, because people living with dementia may be getting respiratory and cardiovascular symptoms undertreated, in addition to the possible overuse of antipsychotics,” the authors highlight. Addressing these issues “may improve management and quality of life in this vulnerable population”, they conclude. Previous Poll: All hail the chief?